COMPUTEX 2018 has seen a number of electronics and hardware manufacturers bag d&i and Best Choice awards. Acer is one among them that has bagged a gold at the d&i awards for the Acer Chromebook 11 and multiple other awards. 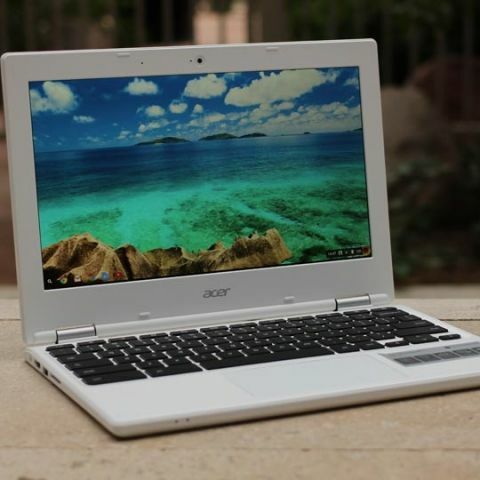 As with many Chromebooks, the Acer Chromebook 11 is targeted at the education market and is reportedly built to be durable and rugged. It includes an optional 4G LTE3 connectivity. The hinges and the case have been reinforced to make it sturdy. Additionally, rubber bumper keyboard and corner shields contribute to making it child-friendly. According to Acer, it can survive drops from heights up to 48 inches (122cm). It also comes with an anti-slip pattern on the rear case that provides additional grip. 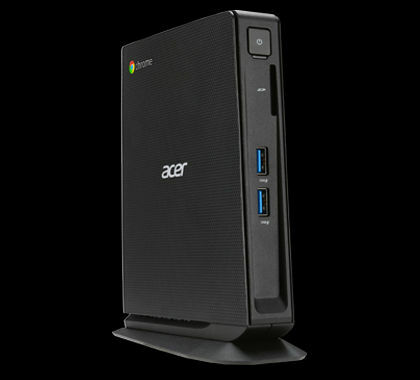 The Chromebox from Acer comes in a design that supports three modes - flat, stand and VESA mount. It comes with a dual antenna design and a USB 3.0 port. Along with that, it features built-in virus protection. A web-based management console allows user, device and app control remotely. Additionally, updates are handled automatically. 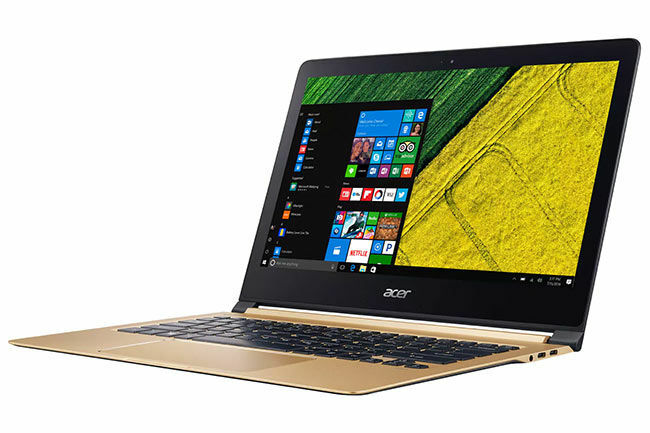 According to Acer, the new Swift 7 is the world’s thinnest laptop at 8.98 mm. It is an always-connected PC running Windows 10 and packing an Intel® Core™ i7 processor. The Swift 7 claims an all-day battery life and a dedicated 4G LTE3 connection with embedded SIM technology. The unit is encased in a unibody aluminium chassis. 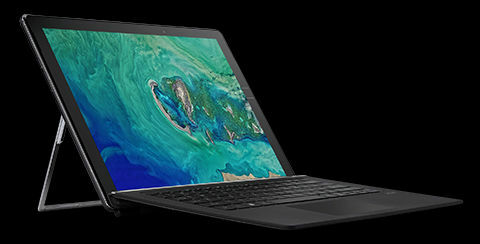 According to Acer, the Switch 7 Black Edition is the world’s first fanless 2-in-1 notebook equipped with discrete graphics, supported by Acer’s Dual LiquidLoop™ fanless cooling technology. The Switch 7 Black Edition weighs less than 1.18 kg (2.6 lbs.) with the keyboard detached. It comes with a brushed-aluminium body. 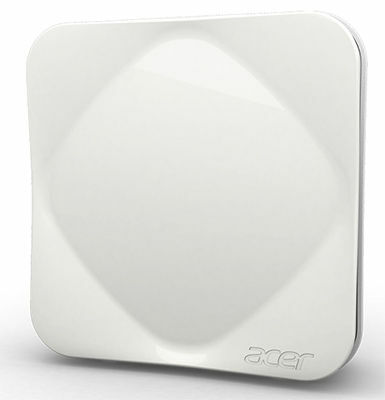 Featuring real-time monitoring of key air quality indicators through a dedicated app, the Acer Air Monitor also features a breathing LED light indicator on the chassis that fulfils the same purpose. On top of that, it comes enabled with voice control as it works with the Amazon Alexa. So you can ask it about the air quality with your own voice. 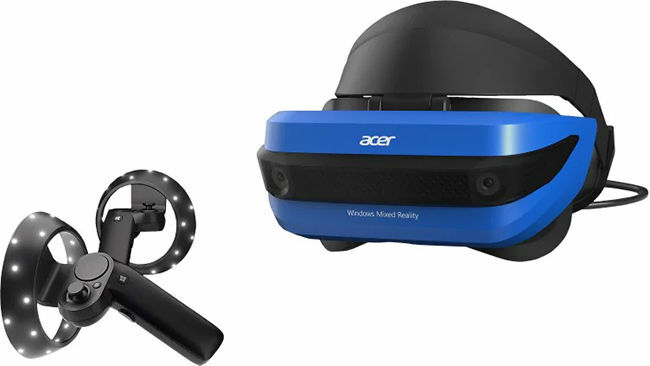 The Windows Mixed Reality Headset from Acer lets consumers use software through their gestures, gaze and voice. Along with that, the included motion controllers, connected via Bluetooth, also allow them to interact with digital objects in mixed reality. The controllers feature a Windows 10 button, touchpad, grab button and constellation lights that are used to sync the headset with the controllers in the virtual space. Since the detecting camera is on the headset, there is no need to set up external hardware for it to work. The headset comes with 6-degrees of freedom positional tracking, including forward/back, up/down, left/right as well as pitch, yaw and roll. 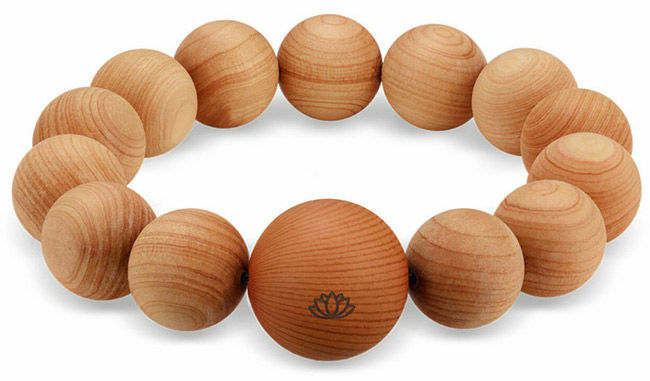 Melding culture, spirituality and electronics together, Acer’s Leap Beads are smart prayer beads that help practicing Buddhists keep track of the number of times they have chanted. This is done using a chip tracking how often the beads have been rotated on their hands. In addition, the beads also count digitised merits that can be dedicated using social media. On the health side of things, the device can track sleep and calories as well.